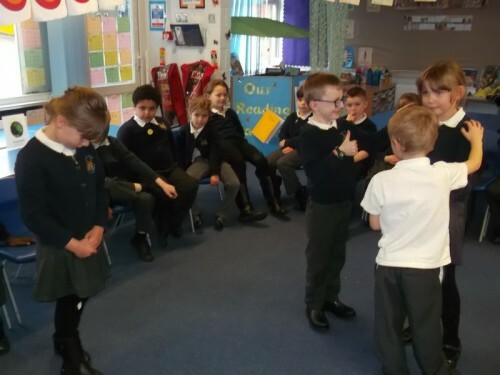 This weeks Circle Time was very different, the children were given the opportunity to be mean to a character called Ollyanda. 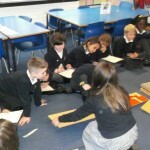 Being a kind class, we struggled with this. Shayla – It was horrible, it wasn’t nice saying bad things to the picture. Jake – It was funny but if it was a real person I would feel bad. 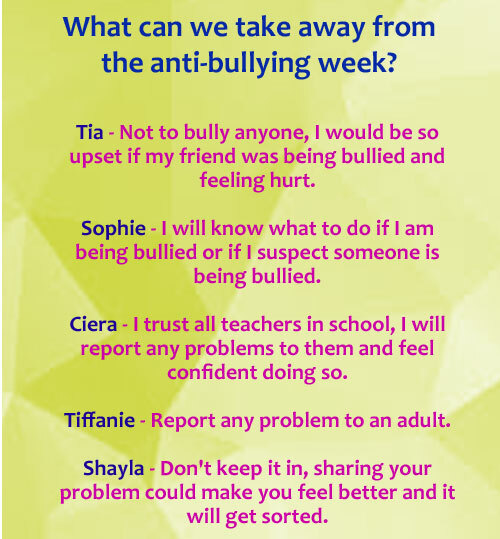 We then had to say something kind and the target for this week is to say something nice to someone. 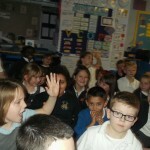 So Listen out for kind comments everyone from someone in the Bluebirds class. 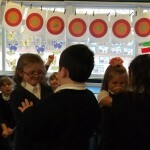 This week we have been talking about different emotions. 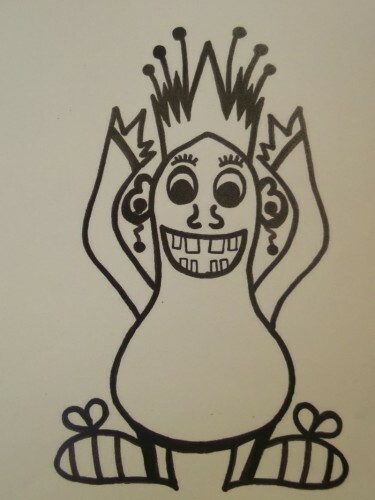 We usually only use the words ‘happy’ or ‘sad’ to express how we feel. 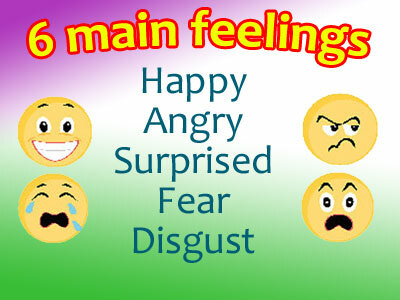 So we have been looking at six main feelings. 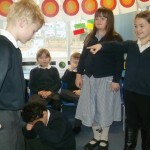 Can you guess what emotions each group were trying to portray? 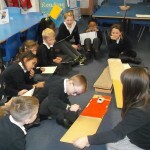 This week in Science, we have been looking at friction created on different surfaces. 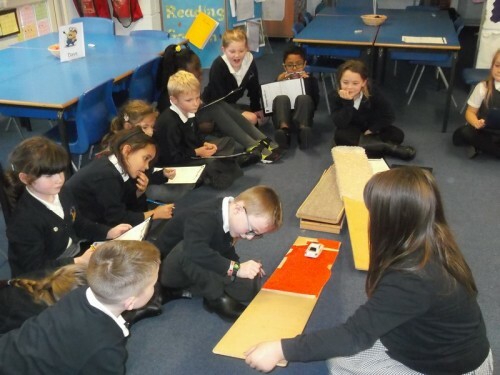 To do this, we investigated the distance a car would travel on four different surfaces. 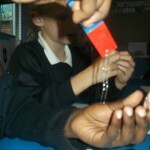 We found out that the bubble wrap created the most friction and cardboard crated the least friction. 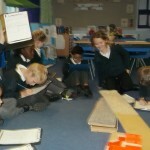 Well done Year 3, you’re fabulous investigators! 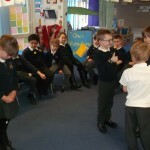 For anti-bullying week Year 3 have had secret friends (we had to make one person feel extra special! 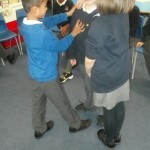 ), lots of circle times and opportunities to talk about bullying and different types of bullying. 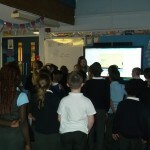 Today, we were discussing cyber bullying. 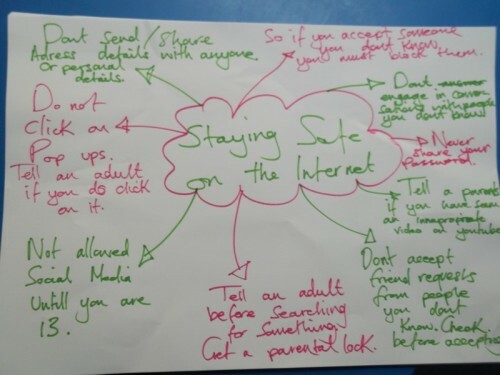 The children had stories to share and what they like to do whilst online – luckily all the children are safe online and know what to do if they do not feel safe. 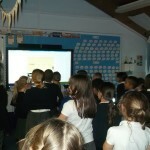 We watched a video on cyber bullying and read a short story about someone who shared their password and username. Again, the Bluebirds are so sensible and know never to share usernames and passwords to ANYONE. 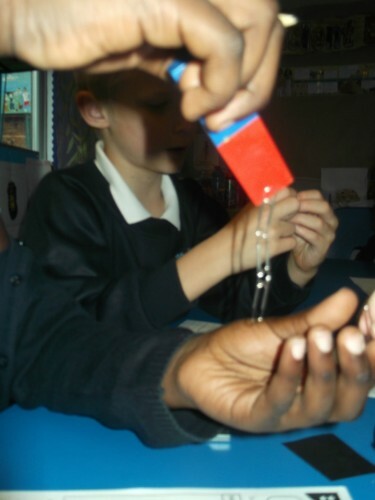 Today in Science we were looking at magnetic and non magnetic materials. 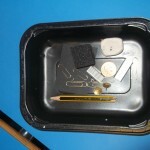 So the bluebirds had their very own mini scrap yard where they had to sort materials into magnetic and non magnetic groups. You can also follow the link to find out more about how real scrap yards sort materials – click here to watch the video. 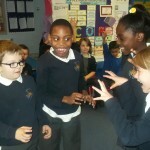 Our second music lesson was so much fun!! 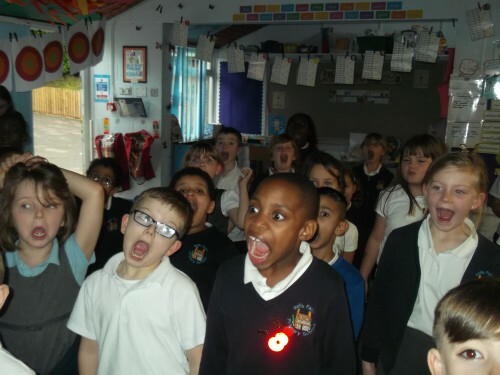 First we had a ‘warm up’ for our voices – this involves pulling some very silly faces! 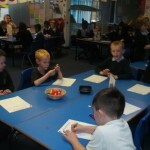 We then used our amazing listening skills to try and find out what instruments were being used in popular songs. 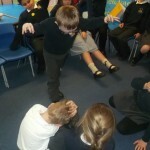 The children were very good at this! 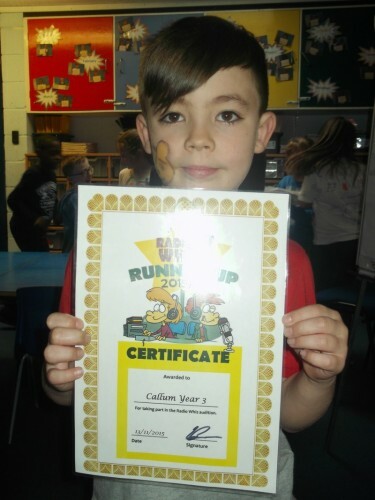 A huge well done to Callum for being a runner up for the Radio Whiz competition. 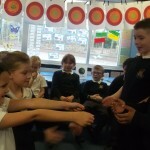 Did Callum enjoy the experience? 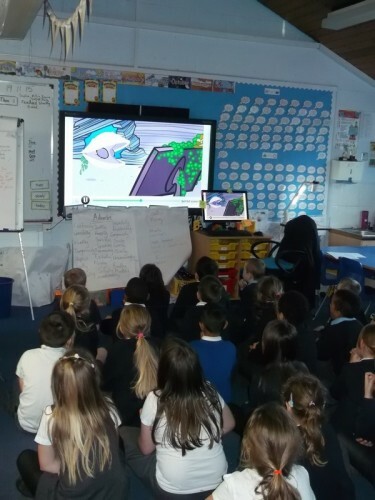 Today we were discussing how to stay safe on the internet and then watched an e-Safety video about the SMART rules. 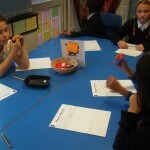 Take a look at our brainstorm and you can also view the short film we watched about how to stay safe online. 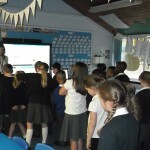 This term we will be having music lessons. 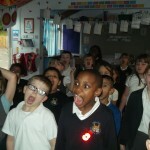 We will be having vocal warm ups as well as listening to music and trying to find out what instruments are being played. We will be looking at a range of songs including Christmas songs! Hopefully we will be posting videos of the Bluebirds showing off their musical talent!